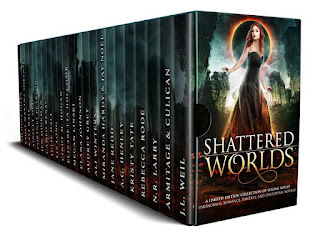 Escape into twenty-two epic worlds that will leave you breathless. From dystopian nightmares to gorgeous steampunk and fantasy settings to fairy-tale retellings and beyond, SHATTERED WORLDS has every story you’ve been dying to get your hands on! This unique Young Adult/New Adult collection, inspired by the creative minds of today’s New York Times, USA Today, and international bestselling authors, promises to satisfy your cravings for action and adventure as you experience rune magic and time-travel, overthrow corrupt governments, meet reapers and aliens, battle dragons, fall hopelessly in love, and break ancient curses, right alongside some of the bravest characters in fantasy fiction! 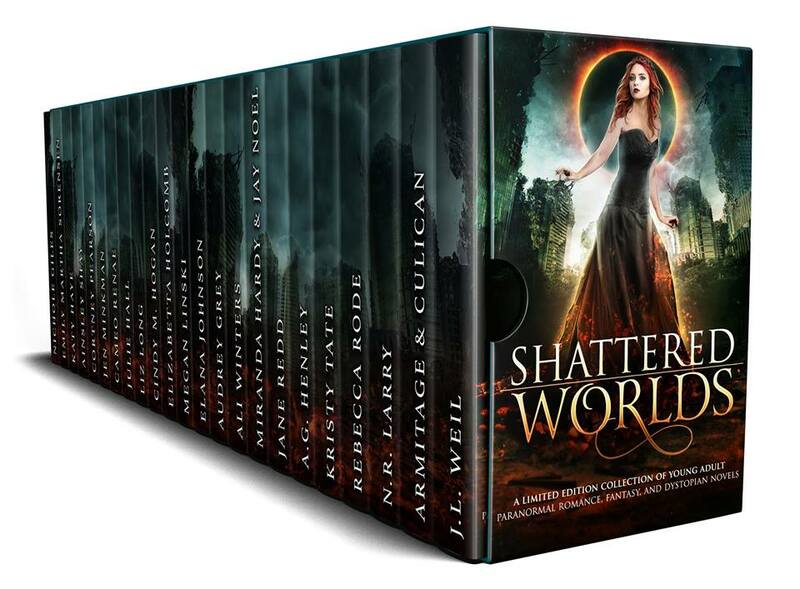 Each book within this collection is exclusive to the set and can’t be found anywhere else. 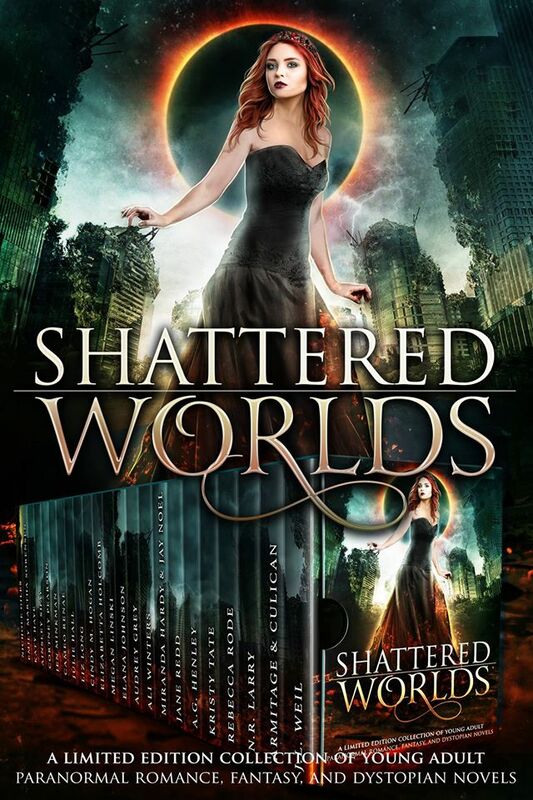 Preorder now for your passport to SHATTERED WORLDS!